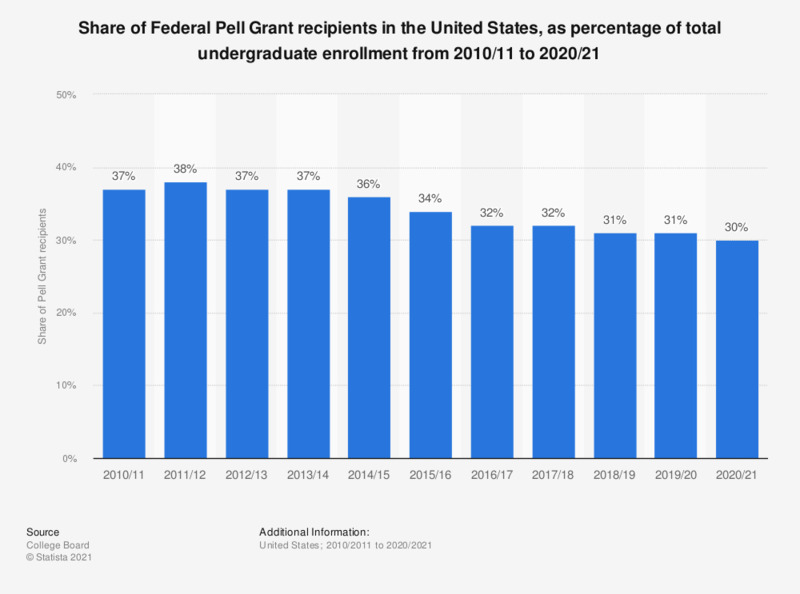 This statistic shows the number of Pell Grant recipients as a percentage of all undergraduate enrollment in universities in the United States from the academic year 2007/08 to 2017/18. In 2017/18, almost 32 percent of all students that enrolled in Undergraduate program had been granted a Pell Grant award. The Pell grant is a form of student aid offered by the United States Federal Government. Pell grants are intended for students from low-income backgrounds and these grants do not need to be repaid.